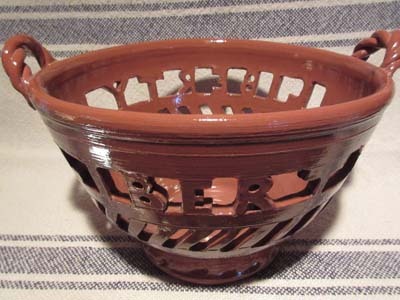 Tom Wintczak, thanks to his interest in antique pottery and desire to learn the basics of clay, enrolled in a six-night crash-course in pottery. 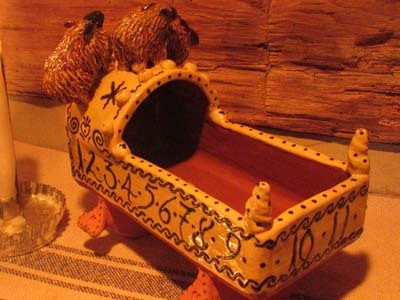 That was sixteen years and many tons of clay ago. 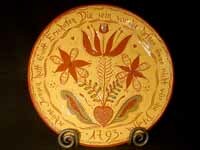 His passion for making redware pottery grew out of his admiration for the simplicity of form, function, and decoration. 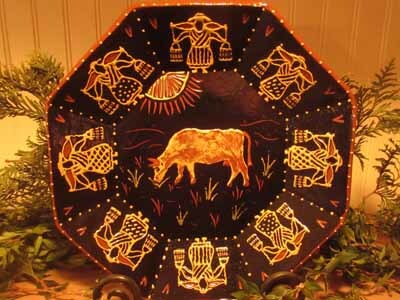 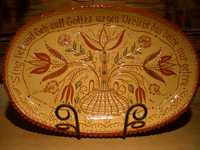 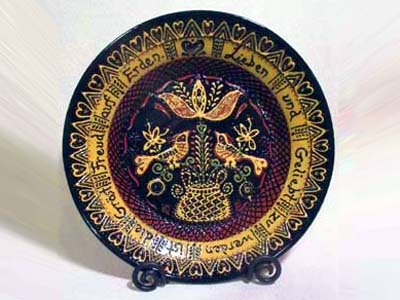 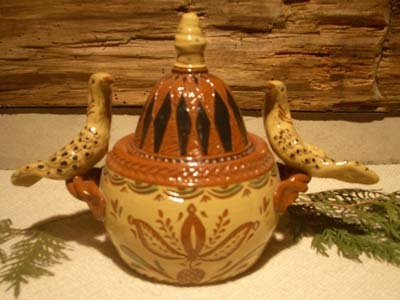 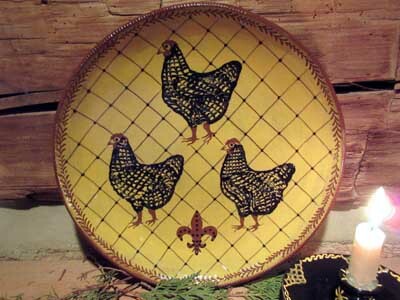 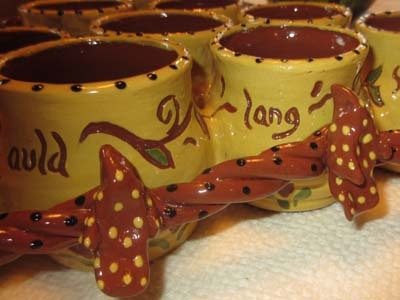 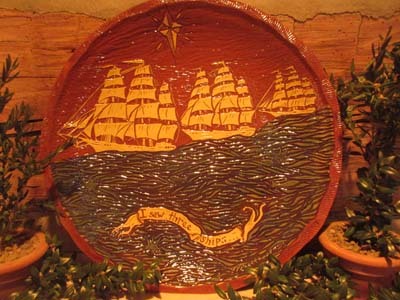 He favors sgraffito-decorated pieces because of the folk art nature of the designs. 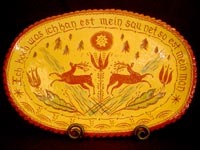 He has studied the work of many potters of the 18th and 19th Centuries, but he does not do reproductions—he likes to have his own hand show in the pieces. 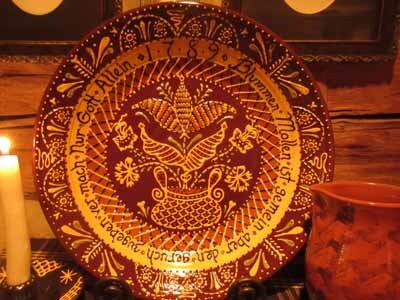 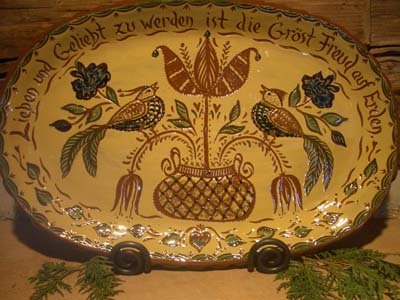 Wintczak sees himself as the village potter, making pottery people need and commemorating their lives in sgraffito pieces. 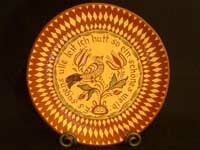 The fact that dated, personalized family pieces become heirlooms is his motivation to produce high-quality work. 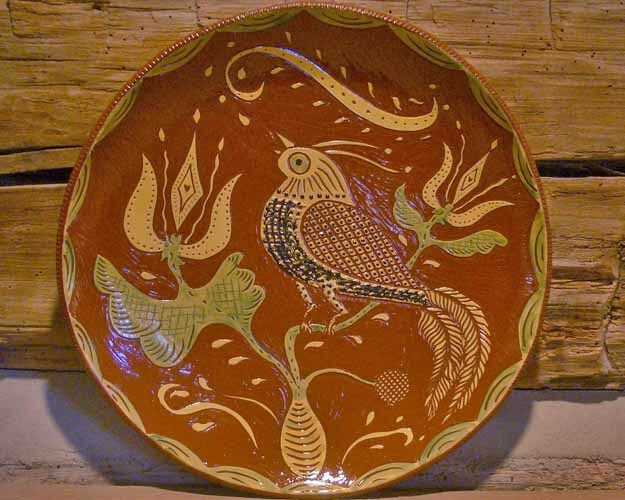 He works from a circa 1850 log studio with views of the garden, which allows nature to inspire many of his pieces. 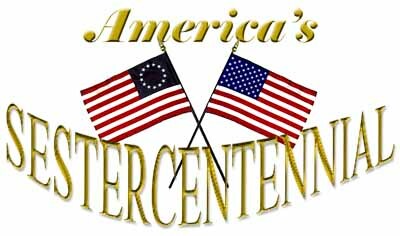 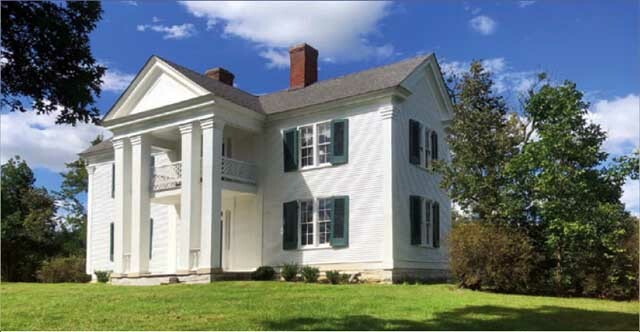 Another inspiration is his proximity to the town of New Harmony, Indiana, settled by the Harmonists in 1814. 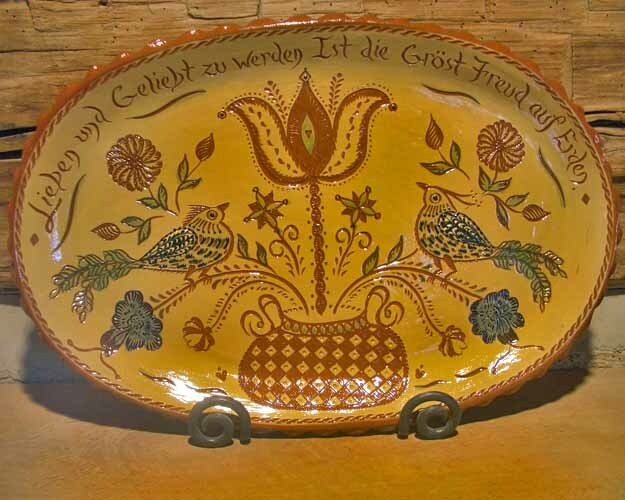 Wintczak follows in the footsteps of Christoph Weber, the society’s potter, by demonstrating during Heritage Artisan Week and the annual Kunstfest.